Khloe Kardashian warned Kim about wedding in 2011. “Why are you marrying this f*ing dog?” Khloé Kardashian didn't hold back when talking about her sister's husband. Khloé Kardashian has always been a favourite Kardashian. Her refreshing honesty keeps that krazy family in tact. Koko is never one to hide her true feelings, and it’s been recently revealed that she didn’t hold back when it came to Kim’s highly anticipated 2011 wedding to NBA player, Kris Humphries. 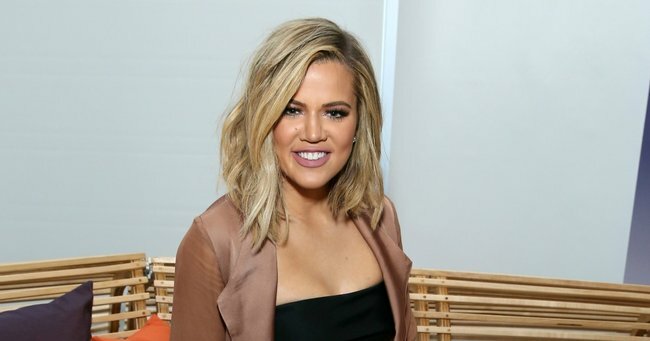 In preparation for Kim’s $(US) 10 million nuptials to basketballer Kris Humphries in 2011, Khloe made no hesitation to let Kim know that he is “a f*ing loser,” questioning, “why are you marrying this f*ing dog?”. The comments were made during an appearance on her buddy Snopp Dogg’s GNN podcast. Khloé claims to have confronted her sister on a number of separate occasions claiming the wedding would be a mistake. Khloé said she had nothing to lose in letting her sister know her true feelings. With the union lasting a grand total of 72 days, maybe Kim should have been a little bit more open to Khloé’s brutal opinion. The wedding was one of the most highly anticipated reality television events in Kardashian history, with the ex-couple married in a lavish ceremony in California in August, 2011. The highly publicised event was criticised for being curated for the popularity of the show. Questions around Kim’s and Kris’ relationship were perpetuated once the separation rumours began within weeks of the ceremony. Kim has since agreed with Khloé, admitting the marriage was a mistake following the finalisation of their divorce in 2013. Khloé says that Kim admitting to her “You know you were right,” shows that she is a bigger person because of the experience. Meanwhile, Humphries came under fire after tweeting “Man, I’m glad I got out when I did. #Gottadoyou” in response to Caitlyn Jenner’s Vanity Fair cover. It’s fair to say there is no love lost between the family and Kris. Khloé has never held back in her disdain for Humphries. In her book, Strong Looks Better Naked, she labelled Humphries as the “least favourite” of Kim’s partners. As for Koko, her television show, Kocktails with Khloé, has recently been axed after three months on air. Irreconcilable difference between Khloé and the production team have been cited as the reason behind the cancellation. However, Khloé is currently working on a new show called, Revenge Body, a six-episode transformation style show on the E! Network. Get ‘em girl!